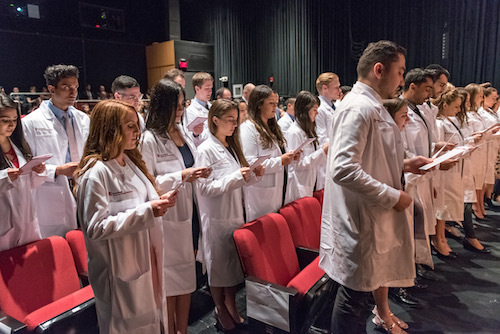 The White Coat Ceremony for the Class of 2021 was held on April 17th. April 2018 - The acceptance of a white coat is a tradition among health professions and serves as a symbol of commitment to providing compassionate, ethical care to patients. Furthermore, the wearing of a white coat should be recognized as a major step in the journey to becoming a doctor. 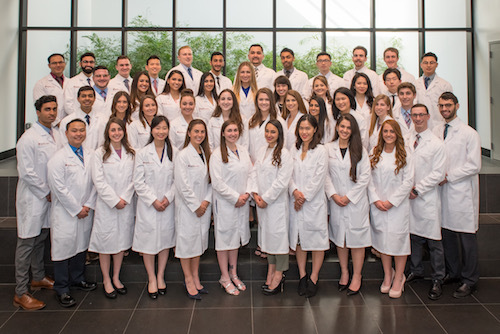 On April 17th, 44 first-year students of Stony Brook School of Dental Medicine (SDM) participated in the White Coat Ceremony, accepting their white coats from Mary Truhlar, DDS, Dean, and Steven Zove, DDS, Associate Dean for Clinical Affairs. 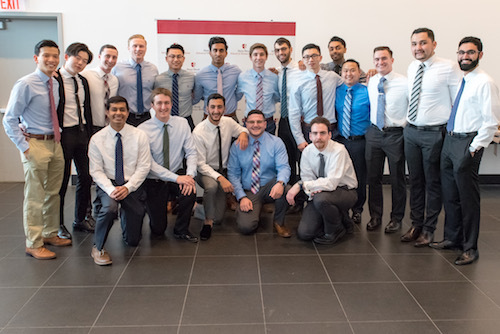 In the eight months leading up to the ceremony, students had been learning the foundation skills to begin to formally interact with patients and deliver care. 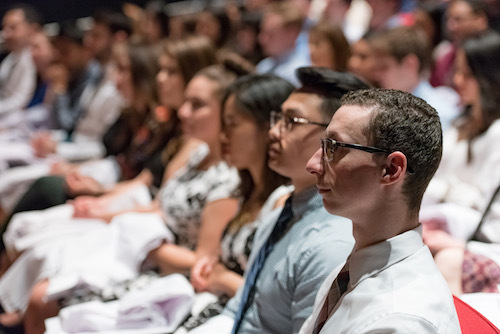 "The faculty attests that the members of the Class of 2021 are ready to transition from 'preclinical' to 'clinical' education with this White Coat Ceremony," said Dolores Cannella, PhD, Associate Dean for Education. "With the placement of the white coat on your shoulders today, we welcome you into your clinical education and to the noble tradition of doctoring," said Dr. Truhlar. 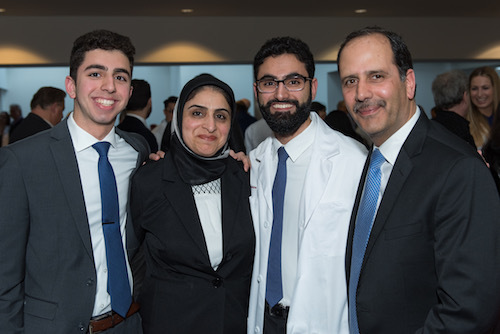 As the students individually walked across the stage and accepted their white coats, they were met with supportive applause by onlooking honored guests, faculty, family, and friends. 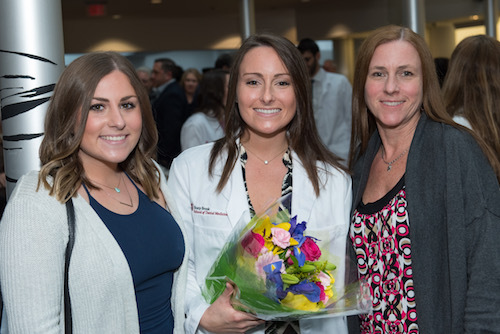 "I was overwhelmed with joy walking across the stage towards Dean Truhlar and Dr. Zove, with my white coat in hand," said Loredana Calce, a member of the Class of 2021. "As I turned towards the crowd, I realized that this white coat represents my promise to protect the lives and rights of all my future patients." Following the Presentation of the White Coats, Thomas Grandville, DDS, President of the Stony Brook School of Dental Medicine Alumni Board and Alumnus, Class of 2011, introduced a video of Man Wai Ng, DDS, MPH, Dentist in Chief at Boston’s Children’s Hospital, as she accepted the Distinguished Alumnus Reward from SDM. 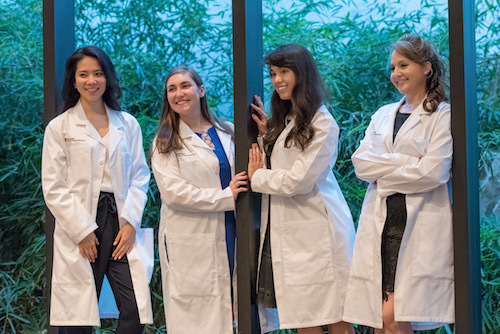 "I can still remember feeling excited and a little bit anxious to be going into the clinic," Dr. Ng said, reflecting on her acceptance of her own white coat. 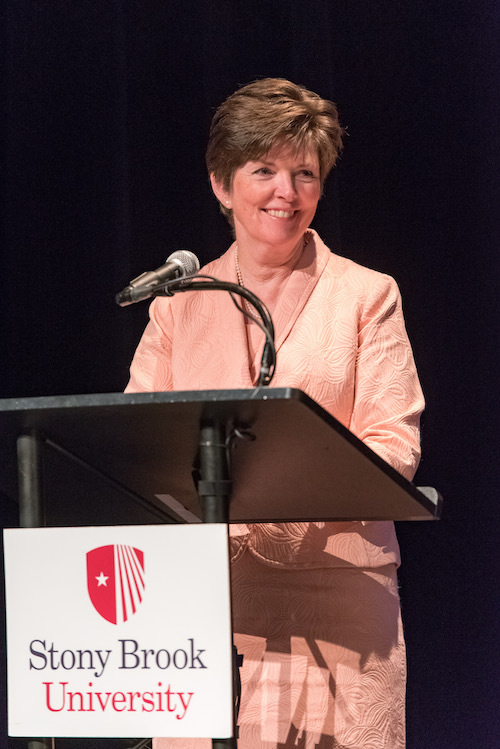 "There are so many reasons that make Stony Brook special," continued Dr. Ng, who highlighted SDM's small class size, rigorous science curriculum, and amount of clinic experience as key to her successful education. 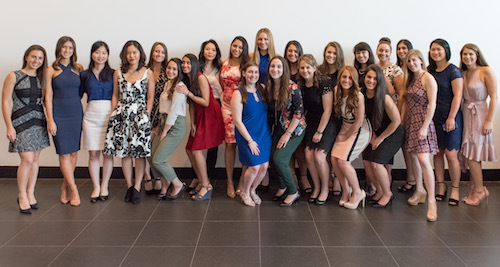 Following the recital of the Hippocratic Oath, led by Dr. Zove, and concluding marks by Dr. Cannella, the students exited the hall, proudly wearing their white coats, and shared embraces with their friends, families and loved ones among a bustling, celebratory reception. 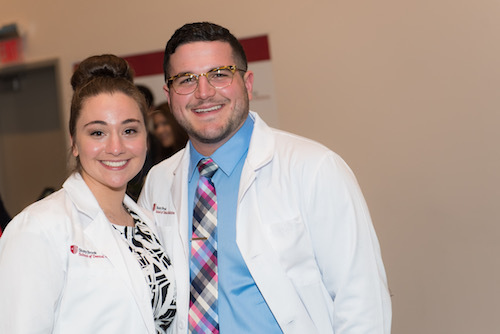 "Wearing the white coat was a dream come true, and I am so thankful to have shared this incredible experience with my family, friends, and the Stony Brook Community," said Calce.